An employee who quits is not always denied unemployment compensation. Our experienced attorneys know the laws as they apply to what is referred to as a “Quit.” The general rule is that if an employee quits for reason attributable to the employer then the employee may be entitled to unemployment compensation and the payment of those benefits will be a charge against the employer and can impact the employer’s tax rate. Nationally representing clients at unemployment appeal hearings, the Law Office of Kenneth P. Carpfocuses on unemployment law. Our representatives know the appeal hearing procedural rules and the laws regarding unemployment benefits. Our attorneys know what unemployment judges look for in making a ruling. Although the states say that a representative is not needed, there is more to a hearing than telling your side of the story. Procedural rules and state law need to be followed and applied, and we do it every week. Otherwise the employee would be fired? There were threats or harassment at work? Illness or family emergency necessitated the decision? The law does recognize that there are times when employees may feel that they have no choice but to quit — for medical reasons, for example, or due to unsafe working conditions. Unemployment benefits may be paid for a quit due to personal safety issues between a worker and a former spouse, or other personal relationships. Also, a significant change in circumstances which causes a quit may not prevent the payment of your unemployment benefits. Employers need to protect their unemployment costs and employees need unemployment benefits to meet their basic needs. 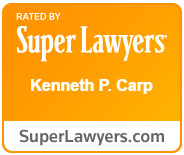 The knowledgeable attorneys at the Law Office of Kenneth P. Carp know the rules and how to apply them in court and for you. If a worker quits due to any of the following, her or she may be entitled to unemployment compensation benefits. At the Law Office of Kenneth P. Carp, our experienced attorneys know the law and how to represent your interests in an Unemployment Appeals hearing. Call us at 636-947-3600 or contact us onlineand learn how we can help you during this difficult time.